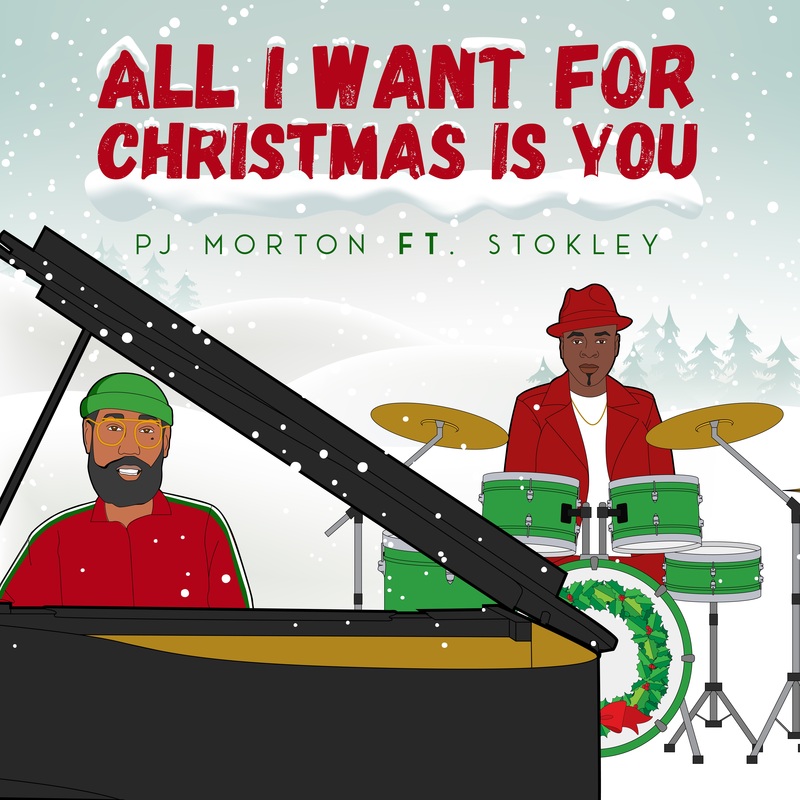 Today, PJ Morton releases "All I Want For Christmas is You" feat. Stokley, taking the Mariah Carey classic down to New Orleans for the first single off his forthcoming, brand new album, Christmas with PJ Morton. Out November 9th on his own Morton Records, the release started stirring holiday hysteria on social media earlier this month, but full, official details are finally available below. Having grown up in the church as the son of two pastors, Christmas and its music have always been at the foundation of Morton's personal history and family celebrations, with a proper album for the occasion always being a career ambition. Across the eight tracks, including two new originals – a soaring "Do You Believe" feat. 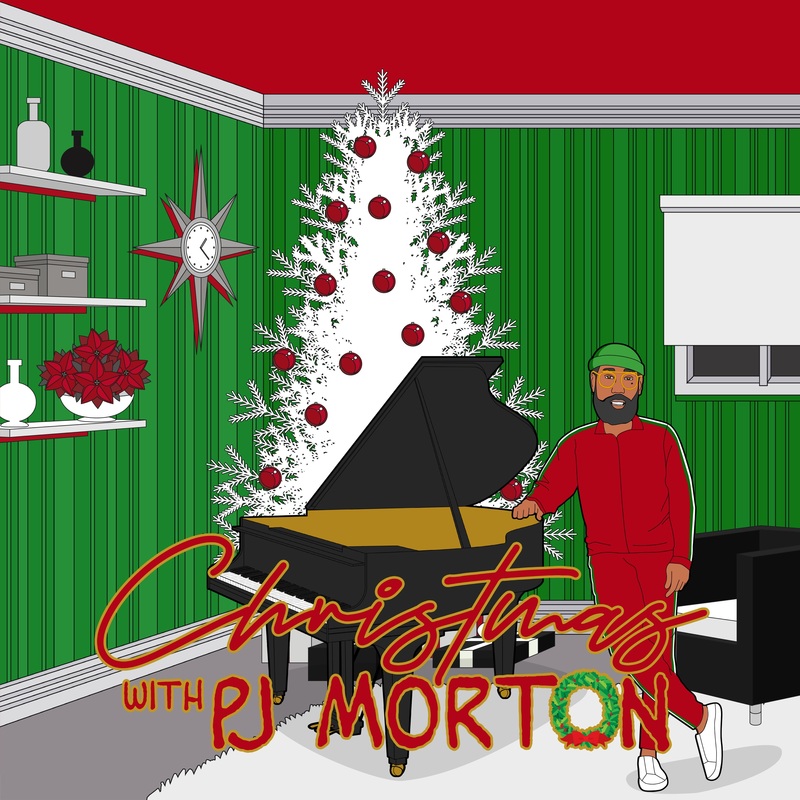 Yolanda Adams and the tender "Peyton’s Lullaby (Right Away)" – Morton has given R&B a new classic, inverting standards like "Winter Wonderland" and "This Christmas" with bounce, reggae, and full orchestras. Aside from the album, this winter will be another prolific season for Morton, following a year that has brought two more Grammy nominations, a live unplugged album that continues to rack up millions of streams, an unforgettable Tiny Desk Concert, and much more. Official news will follow, but he is about to reveal collaborations with Tyler Perry and Jay Pharoah, has written and performed the theme song to Oprah Winfrey Network’s brand new, Will Packer-produced Ready To Love, and continues to sign artists and producers to his New Orleans-based Morton Records. Morton and his band are currently playing sold-out shows across Asia and Europe, and will return to the US for another lengthy extension of the "More Gumbo" tour supporting Christmas with PJ Morton – full dates below. For more information, contact Matt Hanks, James Rainis or Greg Jakubik at ﻿Shore Fire Media, (718) 522-7171.